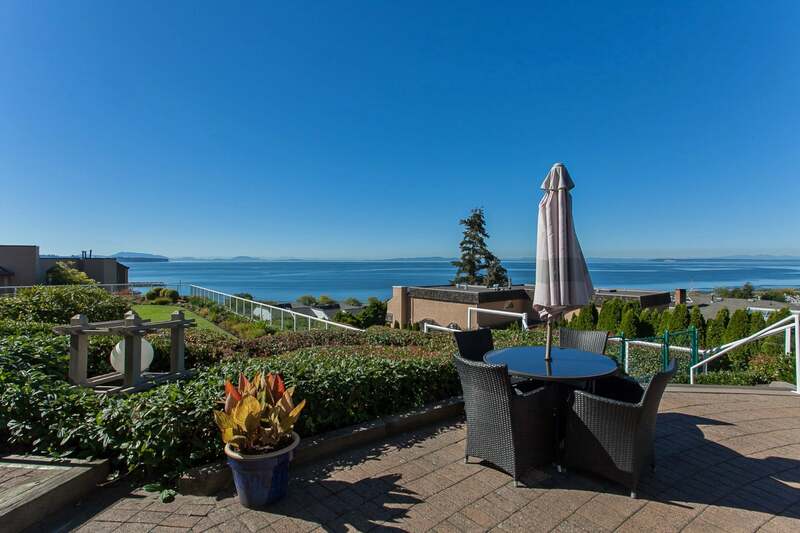 Victoria Terrace - a truly unique view property in the heart of White Rock! 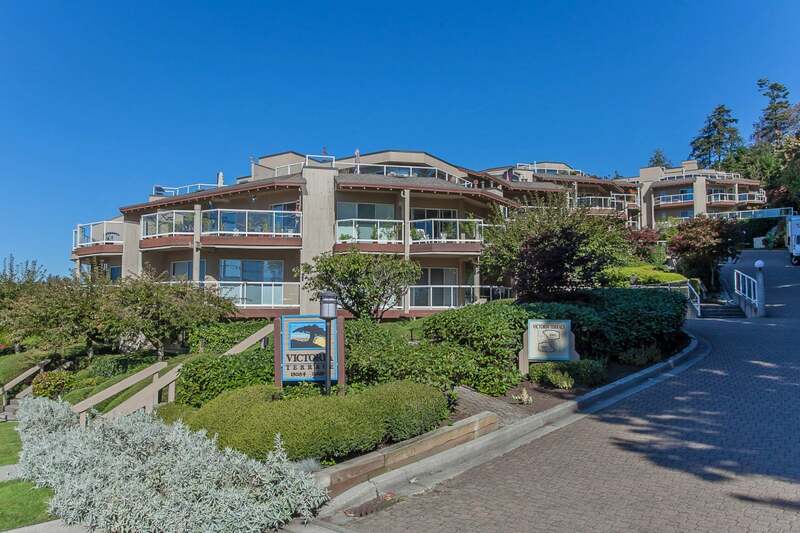 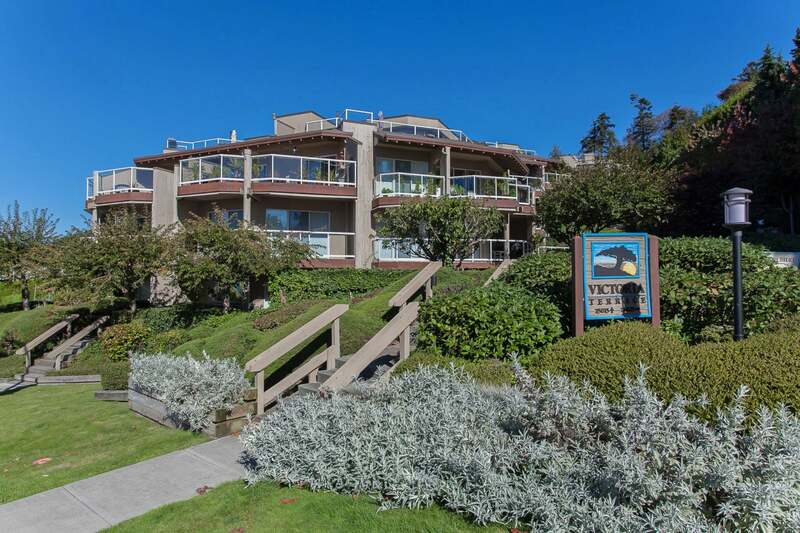 Where else can you live within walking distance of the famed White Rock Pier, restaurants, and beaches; in a 1420 sq ft 2 bedroom plus den condo perfectly situated for complete privacy and quiet, with lush garden views from every room. 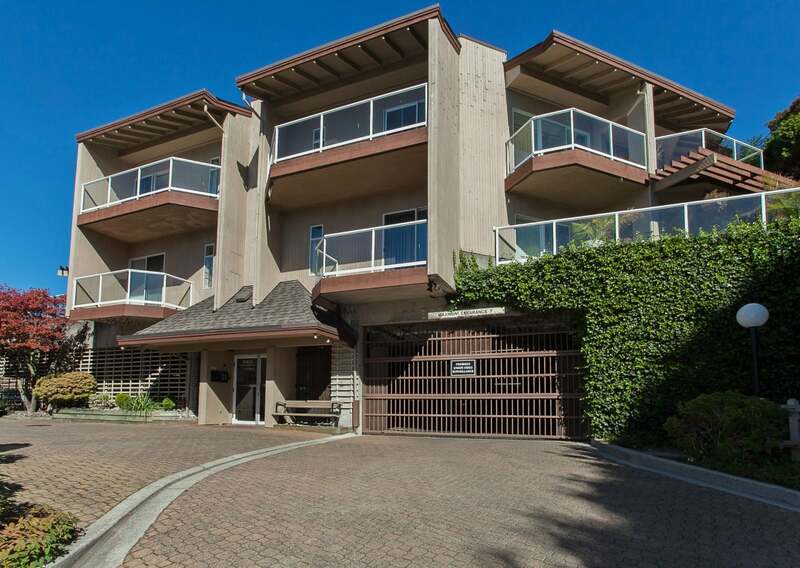 The large wraparound balcony running the length of theunit is protected from the elements allowing year-round usage and bringing the outdoors into your home. 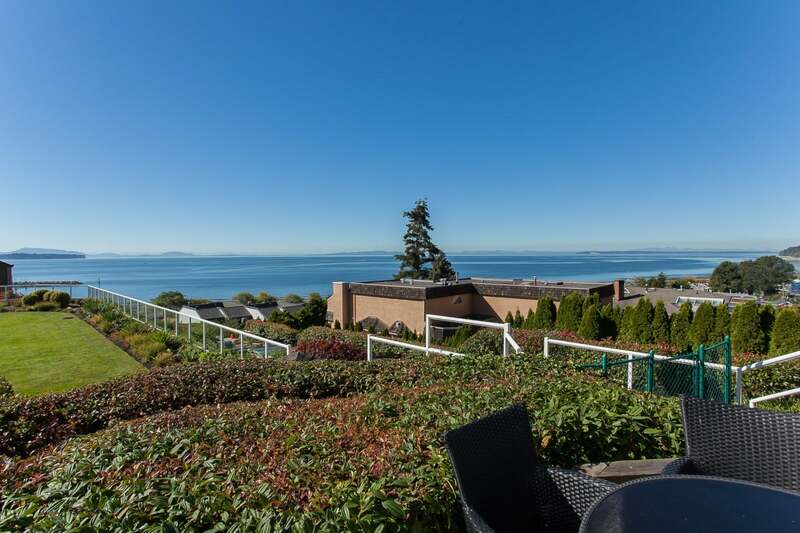 The main pool with its stunning panoramic views of Semiahmoo Bay rivals those of the best luxury resorts. 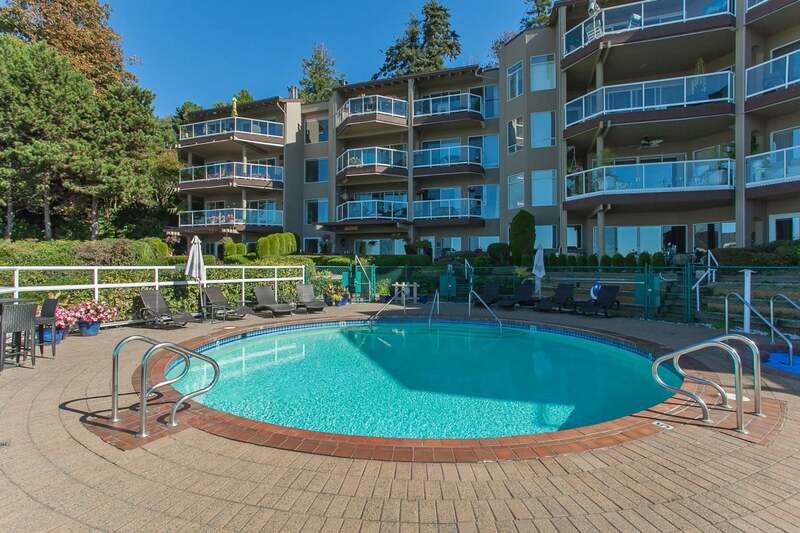 This complex is well-run, has many recent upgrades, allows 2 pets, no rentals, and welcomes homeowners 25 years and older.